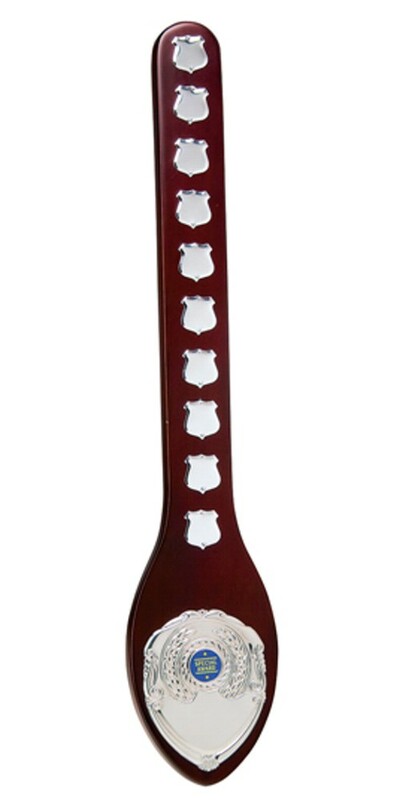 600mm high Wooden spoon with a centre name shield at the base and 10 small name shields down the handle. Includes a 1 inch centre holder for your club badge or a standard centre. Customised centres available at an additional charge. You can have the item plain or have the centre and/or mini shields engraved for an additional charge.